The fertility struggle was a lesson in persistence and resilience. And at the end of the day, it brought Tracy and Karina closer. Today Tracy and Karina share the story of their difficult parenting journey, explaining how it affected their relationship as well as their work lives. Tracy discusses the source of the partners’ intentionality and how they designed their own parenting model—without heteronormative standards to rely on. 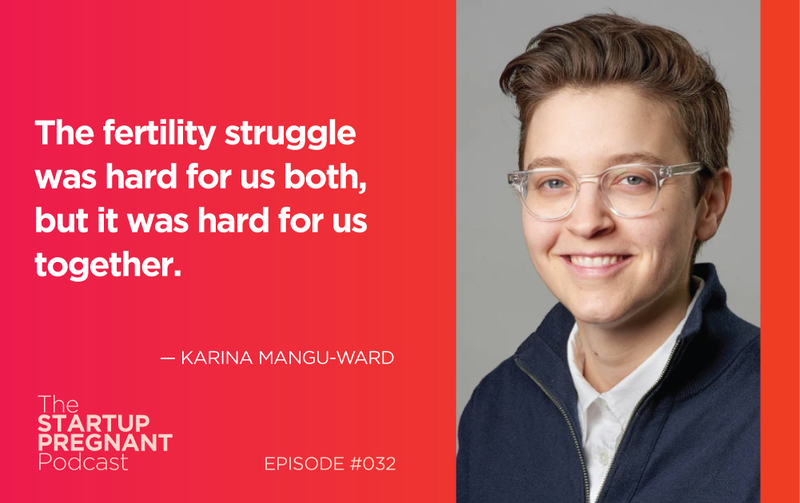 Tracy and Karina speak to the Imago communication style and how it helped them navigate a difficult period early in their fertility journey. I ask them about their 50/50 approach to parenting and their experiences with parental leave. Listen in for Tracy and Karina’s insight around returning to work and owning their roles as new moms. If you’ve been wanting to donate to Planned Parenthood, the ACLU, or disaster relief you can use this app and it’s a piece of cake. All you need to do is create an account, choose your charity and then set a weekly donation cap. Head to https://startuppregnant.com/charity/ for more information.